The Queen of Comedy, the Lioness of Laughter, the Cup-Bearer of Chuckles — sorry for that — Mindy Kaling has returned to our television screens in the form of her show “The Mindy Project”’s third season premiere on Tuesday. And it is glorious and wonderful and everything is golden-hued in our world again. But if you’re looking for a review on the episode, then don’t read further. I haven’t watched the new season yet. Why? I’m really busy, you guys, and I need time to properly process and digest the newest episode. And — my editor would want me to mention — that’s not what this post is about. I want to talk about the romantic comedy, or as we in the general world call it, the “rom-com.” Mindy Kaling, alongside other television giants such as “New Girl” showrunner Elizabeth Meriwether and “Brooklyn Nine-Nine” co-creator Mike Schur, participated in a panel that discussed the movement of the “rom-com” from the cinematic stage to the small screen. The article discussed the weak opening weekends of current romantic comedies in theaters, and the staleness of movie plots. That was all very well, but two quotes stuck out to me and made me formulate my opinion on small screen rom-coms. And I think the combination of those two quotes speaks to the success of TV rom-coms. In film, the rom-com has become recycled and hollow. Every twist has been followed, and every iconic line has been spoken a thousand times. There is no room for derivation, and that in itself is not necessary a bad thing. The rom-com can exist as fluff — see Jennifer Lopez’s “The Back-Up Plan,” Jennifer Aniston’s “The Switch,” and basically every actor to ever exist in Hollywood’s “What To Expect When You’re Expecting.” The rom-coms of times past — “Sleepless in Seattle,” “How to Marry a Millionaire,” “An Affair To Remember” — were iconic because they brought something fresh to the scene. A shift to television offers the opportunity for writers to create stories and not just plotlines. In “The Mindy Project,” the first two seasons are a mixture of “will they or won’t they?” between Mindy and Danny, a string of Mindy’s boyfriends, and most importantly, character development. We were able to watch Mindy’s eccentricities — her loud fashion sense, her obsessive love of food, her distaste for exercise — alongside her serious qualities — her intelligence, her commitment to her job, her loyalty as a friend. By the time the third season rolls around, we know Mindy Lahiri. 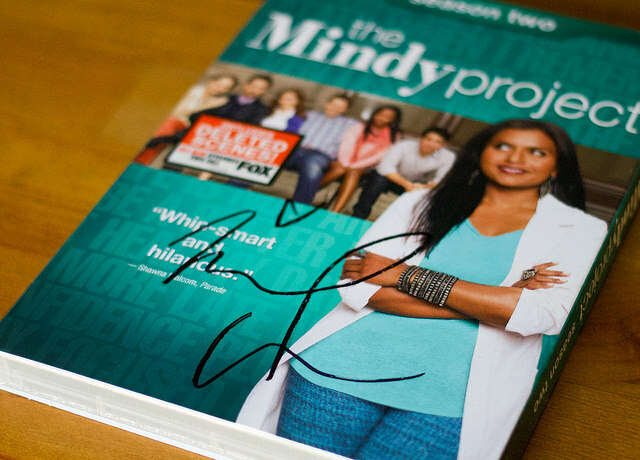 We’re friends with Mindy Lahiri. And that friendship and adoration makes the rom-com all the more enjoyable. Because we’re not just watching Jennifer Aniston playing yet another perky, blonde/brunette, annoyingly attractive woman run into an annoyingly attractive, possibly scruffy, inevitably blonde (insert generic male costar here) on the corner of a chic bakery, we’re watching our friend go through heartbreak after heartbreak until she finds the right guy — not just for her, but for us. The TV rom-com offers an opportunity for closeness and intimacy between the screen and the readers; it allows us the chance to get to know the character before she is whisked off her feet by a chiseled male lead. The film rom-com isn’t failing because it’s a rom-com, the film rom-com is failing because we aren’t emotionally invested anymore. But with shows like “The Mindy Project” and dedicated rom-com lovers like Mindy Kaling, the genre can rise again.